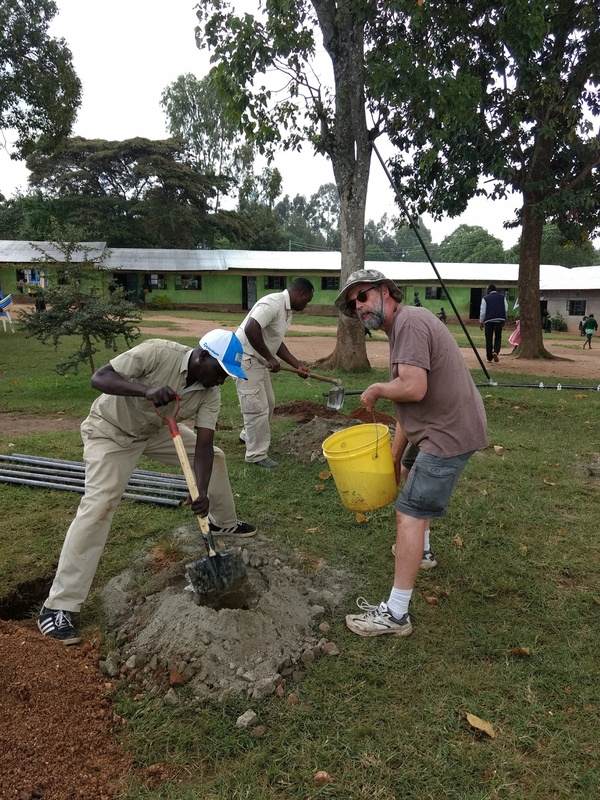 Earlier this month I had the honor of traveling on a service learning trip to Daylight Center and School in Kenya with 17 other members of my congregation and surrounding community. The trip changed my life and will forever influence how I am a pastor. 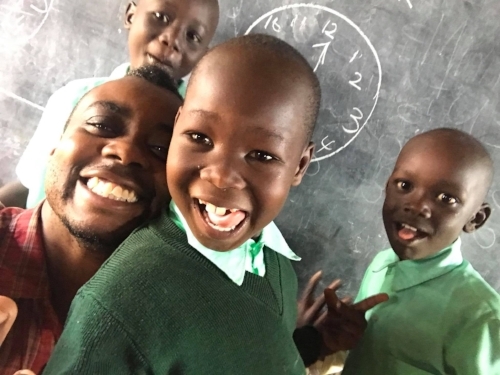 Each American was paired with a Kenyan educator or leader, and it was the expectation that we assist them with their classes, service projects, or school duties for the week. In addition to there being 18 of us, I was the only African American. 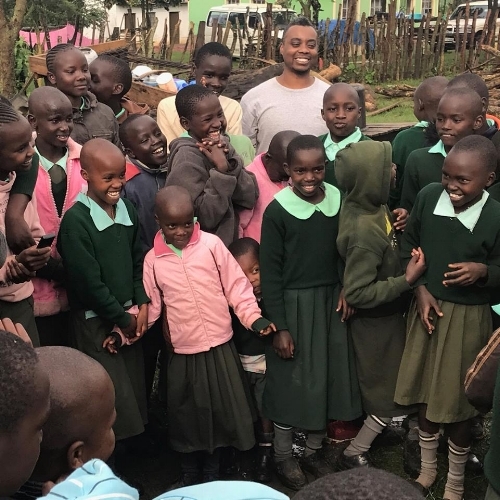 From the onset, Kenyan children and adults were caught off guard by the realization that there are Black people in different places around the world. 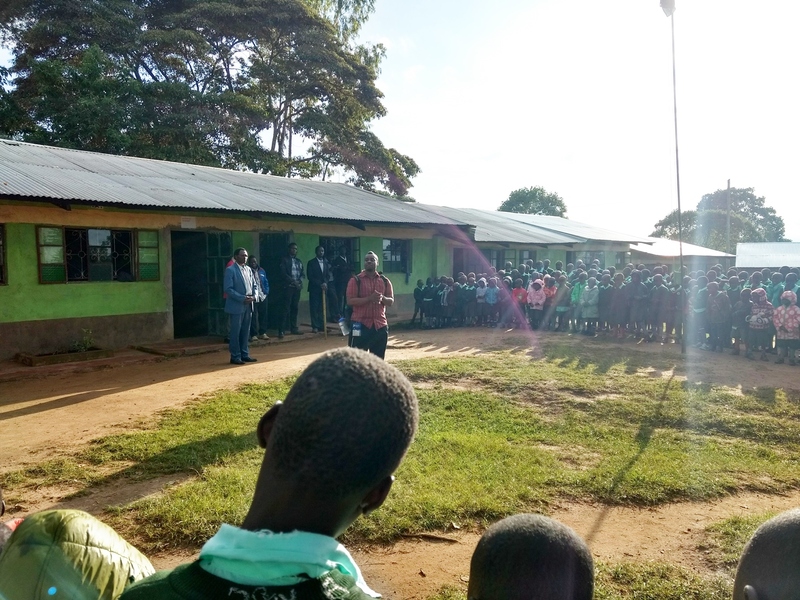 At Daylight, there is Religious Education, Ethics and History lessons are woven throughout their English, Swahili, Math, Physical Education, Political Science and Social Studies classes. Spiritual practices and reverence for God contribute to their sense of motivation and is spoken about openly, and the expectation that it takes a literal village to raise a child is a cooperative way of living that has dramatically altered their community and way of life. Students and teachers alike seem grounded in a mutual understanding of and commitment to a shared identity. The vision for Daylight was palpable all around the surrounding neighborhood and greeted us each day as we arrived. 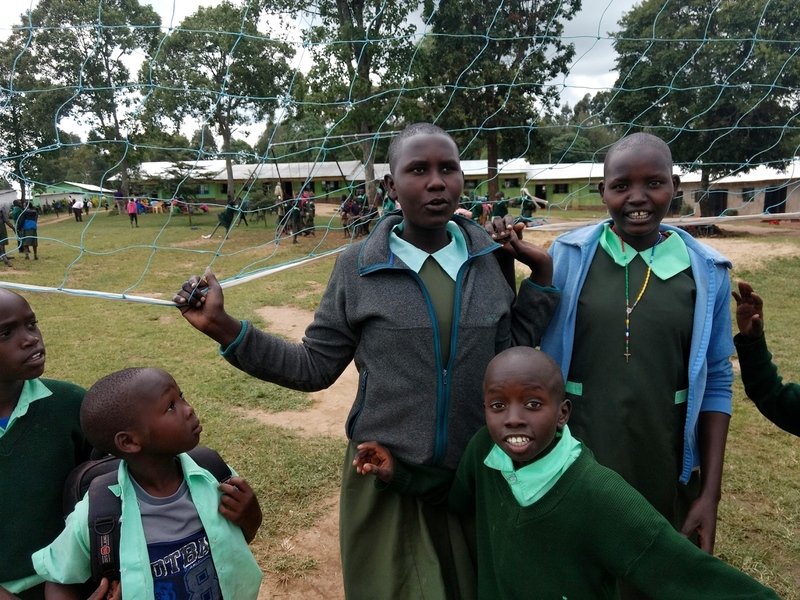 The energy could be felt through the morning assembly and flag ceremony, the countless hours of study and programs, the abundance of laughter and smiles, meal times, physical fitness exercises, and the commitment modeled by staff and teachers. Daylight Center and School is located on a beautiful plot of land in the nomadic countryside of Kenya. The surrounding desert is home to many tribes who would otherwise have no access to education and couldn’t afford to travel to more developed parts of the country, so the existence of Daylight is integral to the future sustainability of surrounding tribes. Everyone in the community knows what Daylight is and what happens there, and is committed to the mission of the school because of what it means for their future. This observation leads me to wonder how we might prioritize each person from our community and neighborhood as partners belonging to a “tribe”, designing education and programming to perpetuate and strengthen our understanding of and commitment to a shared identity. My time serving and learning in Kenya was rich and deeply transformative. The thousands of pictures, dozens of journal entries, and hours of video can’t even begin to capture how this experience has been for my life and ministry. I am deeply grateful. Please click here to read the full text of this brilliant article on Center For Progressive Renewal. Pastor Lawrence’s explores his experience being black American in Kenya and the lessons he took home for his church leadership style. New Swing Set, Volleyball and Handball Courts at Daylight! Daylight has a new swing set, volleyball and handball court! And as you can see, they are drawing big crowds of excited students. 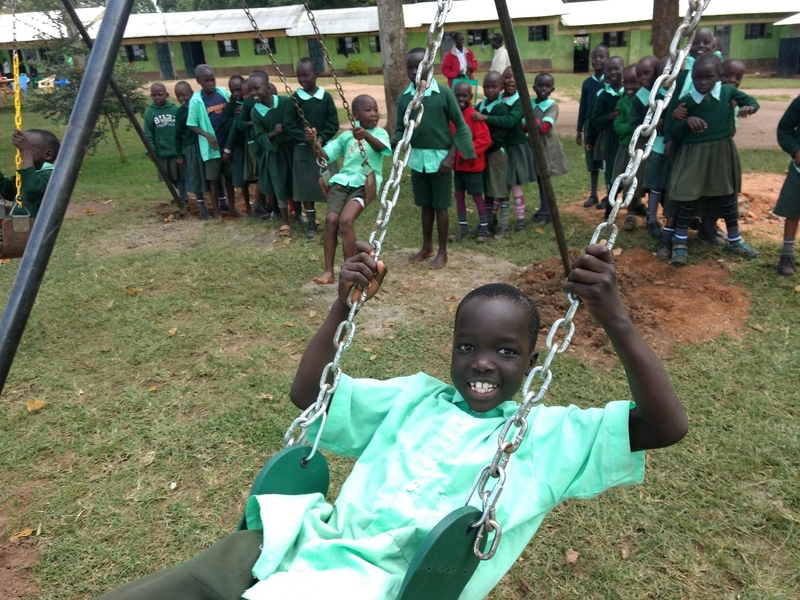 Before school, during morning snack, recess and after school the swings are full of smiling students. On the first day, students lined up at the swing set and counted “1, 2, 3!” making sure each new student got 3 swings to “try it out.” By the end of the week, students were counting out 20 swings and really getting some nice air! 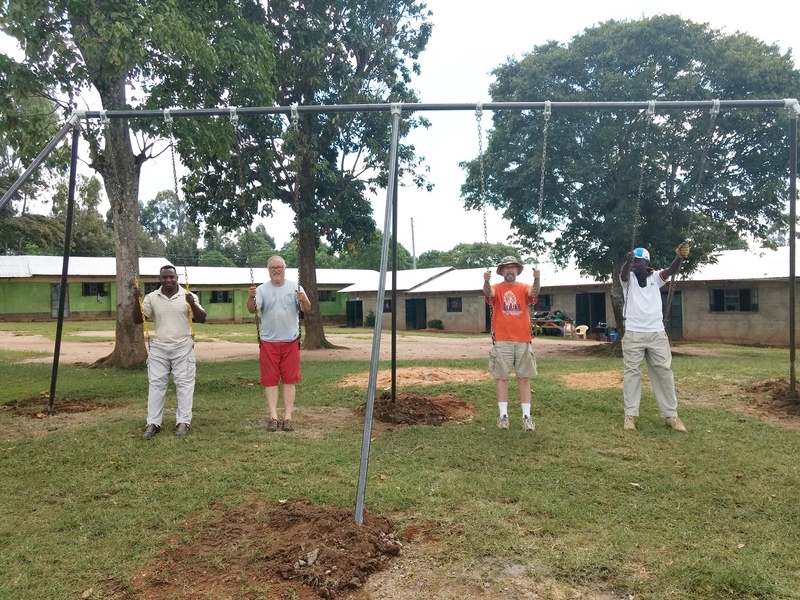 The new play equipment was constructed in July by a joint effort from our Minneapolis team, Kenyan builders, and the staff at Daylight. 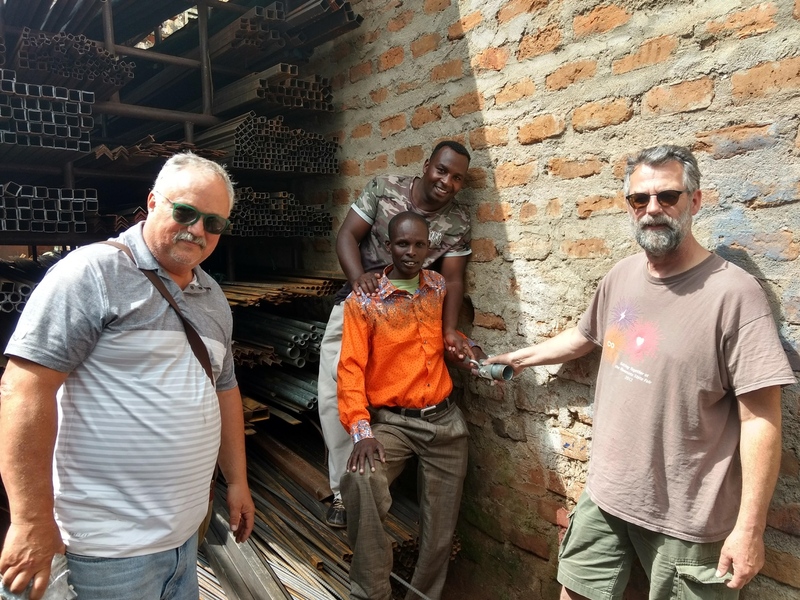 The pipes were bought by John, Peter, Mike, and Kurt from a local hardware store in Kapenguria, Kenya. 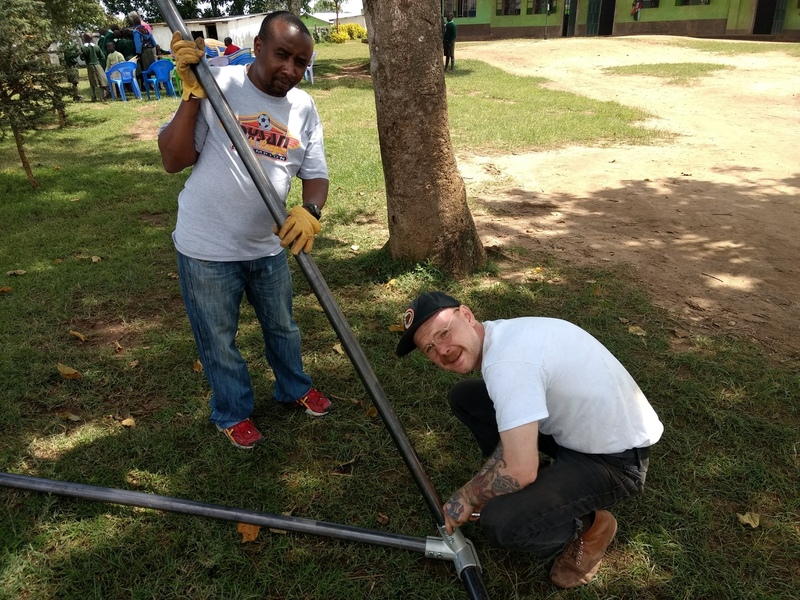 Then back to Daylight, where the pipes were assembled with the help of Daylight US Board Member Travis Collins and a Kenyan Volunteer Boni. Daylight Pastor John and Kurt worked together to dig the posts and hand mix the cement. Of course the builders had to “test” the swings. 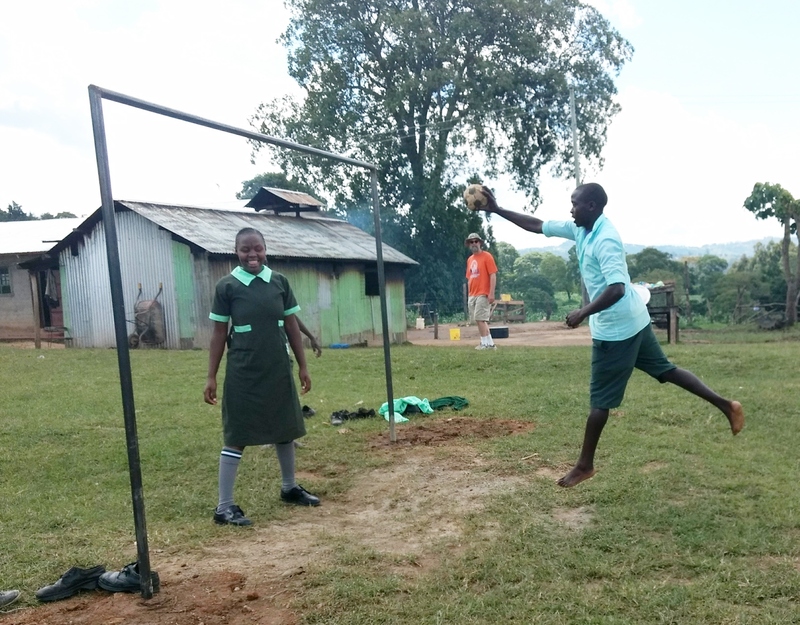 Then the volleyball court was finished and the net was hung. And soon the boys had two very tall and very talented 8th grade girls to contend with at the nets! Finally, the handball court was completed. Kurt watched as the keeper got distracted by the camera and missed the incoming goal. 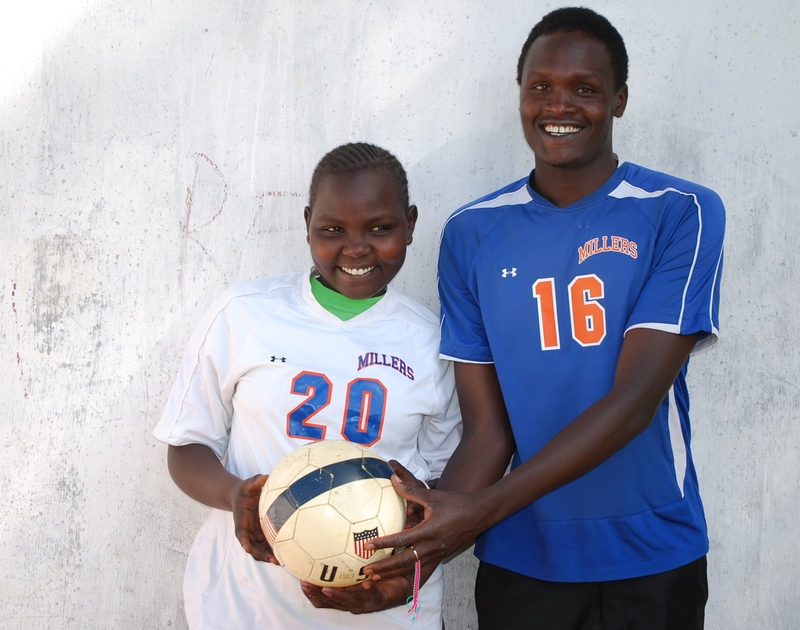 Grace and her teacher Jonathan were super excited about all the new equipment! 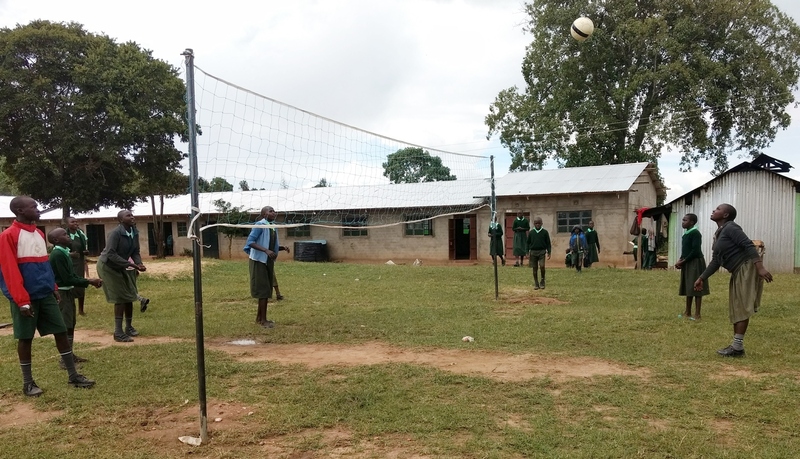 Grace said, “I love volleyball with my teachers and my girl friends. 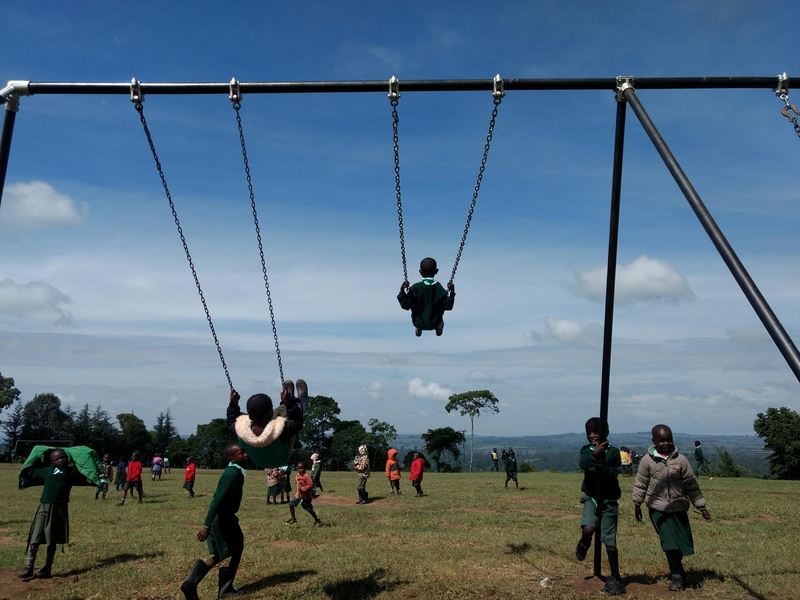 It’s especially fun with all the new equipment!” Thank you to our Minneapolis team, our Kenyan builders and volunteers, and to you for making Daylight school possible!